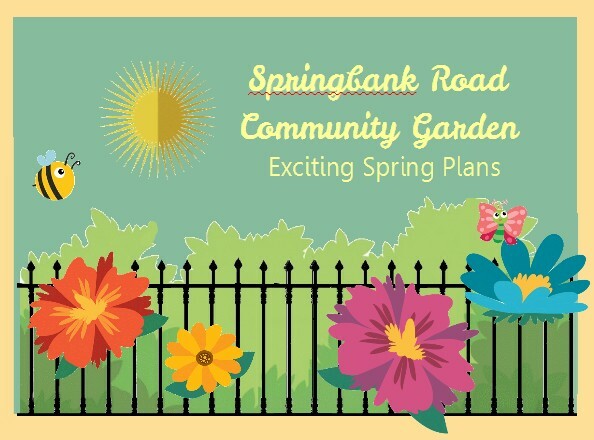 Springbank Road Community garden volunteers have come up with a series of ideas which we hope will both improve the all year round appeal of the garden and get more keen gardeners to come along. Please feel free to critique, add your own ideas and email too. 1. New herbaceous border. We will be freeing up planting space by removing some of the larger evergreen shrubs and replacing them with lost more more flowers, especially autumn flowering perennials. 2. 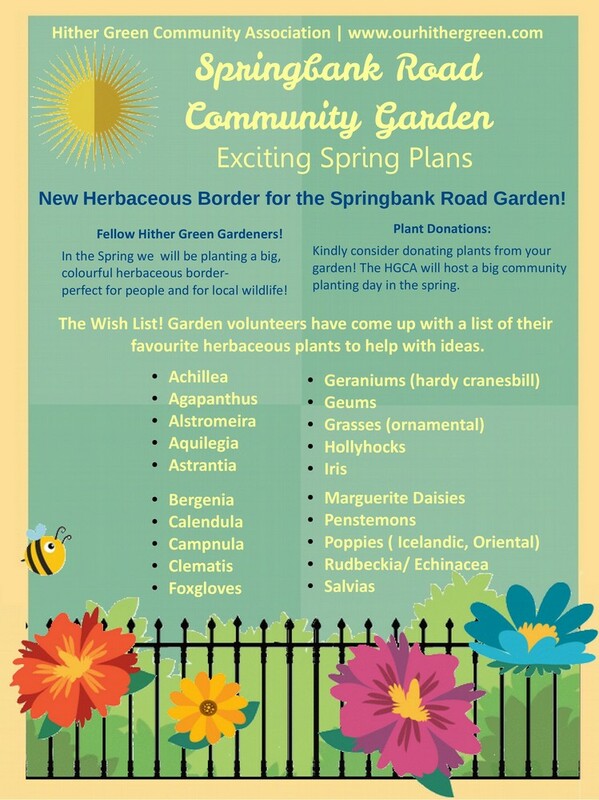 Plant Donations We’ll be asking people to donate plants from their own gardens- for a big planting day next March or April. 3. New Signage. We’re going to commission a permanent sign for the garden, explaining the space and its volunteers. 4. Community Workshops. We hope to invite the community in by hosting nature craft workshops in the garden.